No one wishes to pay more tax than is necessary and good tax planning is an essential component in personal financial planning. Everyone’s situation is different, and tax rates, allowances and legislation change every year. Without personal tax planning, you may pay more than is necessary. 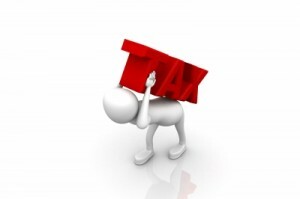 Here are some of the key personal tax issues to consider. With increases in the rates of tax and reduced tax relief on pension contributions, we can help you plan. Let’s start by looking at some of the worthwhile strategies you could apply within the family. Each member of your family is taxed as an individual – entitled to his or her own allowances and exemptions. * The first £2,710 of savings income is taxed at 10 per cent provided taxable non-savings income does not exceed £2,710. Allowances and rate bands are allocated first to your earned income (which includes pensions), then to your savings income, then to any UK dividend income. If your non-savings income exceeds £2,710, the savings rate of 10 per cent does not apply. Many individuals fail to optimise their tax allowances. If you have a partner, spouse or child who pays a lower rate of tax than you do then consider allowing them to hold some or all of the savings in their name. It is worth noting that while any interest in excess of £100 on money given to children by parents will be treated as the parents’ income, interest on money from grandparents may be set against the child’s personal allowance. Similarly, higher-rate or additional-tax paying landlords could transfer rented property or a proportion thereof into the spouse’s name, which may also produce a capital gains tax benefit. From 7 January 2013, there is a new income tax charge where child benefit is being claimed and at least one parent or guardian earns £50,000 or more. The charge equals 1 per cent of the child benefit for each £100 earned over this limit. This means that parents will face a marginal rate of tax above 50 per cent on earnings between £50,000 and £60,000. There are several tax-free vehicles in which investments can be easily made, including Individual Savings Accounts (ISAs) (the 2012/13 allowance is £11,280 for all adults) and some National Savings products. Tax-advantageous investment vehicles include the Self Invested Personal Pension (SIPP), which grants a wide degree of investor choice at the expense of accessibility. Two other forms of investment, the Enterprise Investment Scheme (EIS) and the Venture Capital Trusts (VCTs), offer substantial tax relief for those who are happy to invest with a higher element of risk. Also since April 2012, there is a new Seed Enterprise Investment Scheme (SEIS) for those willing to invest in very young companies, but obviously the risks are higher. For a full review of your available options and how they might affect your tax liability, please contact us. Dividends from most companies including foreign dividends attract a non repayable tax credit equal to one ninth of the dividend. If you are planning to sell shares it may be possible to make a partial sale straddling the tax year, thereby utilising capital gains tax annual allowances each year, provided these allowances have not otherwise been used. If you make losses on your shares, it is also possible to carry this loss forward to offset against future capital gains. Rental property loan interest is an allowable deduction from rental income. Landlords may claim an annual 10 per cent wear and tear allowance if the property is fully furnished. If you are letting a holiday property in the UK or elsewhere in the EEA, or thinking of doing so, and meet certain qualifying conditions, you can claim capital allowances rather than the 10 per cent. If your rental income relates to letting out a room in your own home, you are entitled to receive £4,250 per year tax free. Tax-free gains of up to £10,600 are available for each individual and this exemption can be valuable when seeking to minimise capital gains tax. Are you satisfied that your liability to income tax and capital gains tax for this year will be as little as possible? Are you claiming all your allowances and deductions for income tax? Are you maximising your contributions to pension schemes? In determining where to invest your family funds, will you seek to take advantage of tax-efficient investments such as ISAs, VCT or EIS? If you are a share holding employee in a limited company, have you considered whether there is a tax advantage in receiving dividends instead of salary/bonus? Are your payments to charity attracting the higher rate (20%) or the additional rate (30%) claims? Have you considered giving up your company car and instead claiming at the official mileage rate for business use of your car? If you are in a position to influence your total remuneration package, have you sought tax-efficient benefits? 10. Have you reviewed your Will and explored opportunities for reducing your liability to IHT? For advice, do please contact us at info@mbmcgrady.co.uk.